People don’t generally get to choose when they die, although most would probably opt for never. Many so, however, have some say about where they will be when the inevitable comes to pass, and that can have major implications for estate planning, according to a recent article in Forbes magazine. “Despite the new generous federal estate tax law, there’s reason to worry about estate taxes,” Ashlea Ebeling of the Forbes staff wrote. “There are 19 states and the District of Columbia that impose separate state levies. And just because you live in a no-estate-tax state now, don’t get complacent. What if you move in your old age to the estate-tax-happy Northeast to be closer to your family? Or what if your state gets revenue-hungry like Illinois which reinstated its estate tax in 2011, Delaware which made a ‘temporary’ estate tax permanent this summer, or Minnesota that recently tweaked its law to disallow common ways folks now get around estate taxes? The crazy, changing patchwork of state death tax laws has led to a new subspecialty of estate planning, ‘domicile planning,’ not to sidestep income taxes but estate taxes. “It’s picking a state where you die,” Charles Bender, an estate lawyer with Fox Rothschild in Warrington, Pa., who spends a lot of his time getting Pennsylvania and New Jersey clients “down to Florida,” told the magazine. 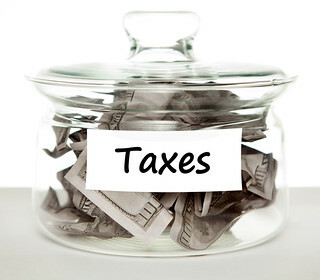 Florida does not currently have an income tax, nor does it have state death taxes.